Chevrolet is a great American brand. When you lease a Chevrolet you're getting a car with a long heritage. With an emphasis on style leasing a Chevrolet means getting behind the wheel of a car with a bit of difference about it. 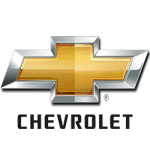 At Little Green Car we've got some great Chevrolet lease deals. And if you don't see the Chevrolet lease offer you're looking for get in contact with us and we'll see what we can do.